Haim Katz has decided that essential work will take place on railways this Shabbat and in the following weeks on Shabbat. Despite demands by Haredi parties that work which does not involve saving lives should not take place this Shabbat and in the following weeks, Minister of Welfare and Social Services Haim Katz, who is responsible for giving work permits on Shabbat, decided that essential work will take place on railways this Shabbat and in the following weeks on Shabbat. However he insists that the sanctity of the Shabbat will be maintained and "Work will take place quietly without acrimony." "Every case will be dealt with individually' Katz was reported as saying in an interview with Yediot Aharonot. "Every work which promotes safety and needs to be performed on Shabbat will be done if there is no choice but to perform it then." However Katz insisted that the Shabbat will not be desecrated in the public sector. "The sanctity of the Shabbat will be maintained. I will ensure that it will be done quietly and without acrimony. Where work is unnecessary it will not be performed. For years work has been done on Shabbat and it will continue to be done in the future. The furor over it was purposeless and exaggerated." Two days ago High Court Judge Anat Baron issued an interim order preventing the Prime Minister from stopping railway works on Shabbat. The order said that the Prime Minister's directive to Israel Railways not to work on Shabbat was 'suspended' meaning that it was invalid. 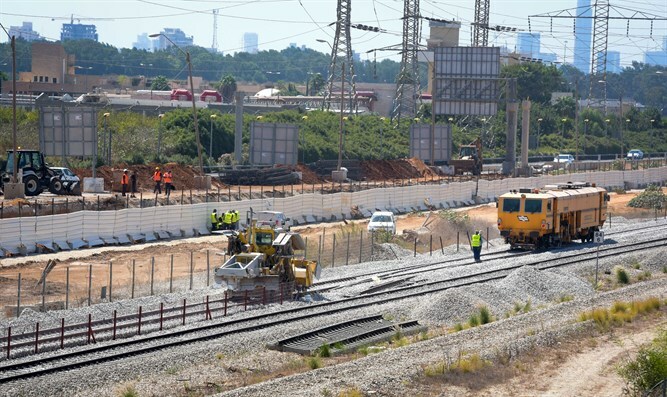 The order was given in response to Zehava Galon's petition against Netanyahu, Transport Minister Katz and Minister of Welfare and Social Services Haim Katz to issue an order to rescind the decision to stop railway works on Shabbat.